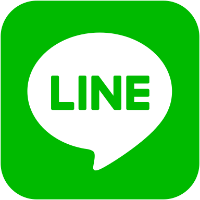 LINE makes messaging and free voice and video calls. LINE serves worldwide. Chat with 200 friends in your group at the same time! ★ Post messages, photos, videos, decals, voicemails and location. ★ Hundreds of free stickers and stickers of loved characters. ★ Automatically synchronize your device and computer. ★ Custom storage space for you. ★ Face Play: Let's win the best face! The line lures you through very handy and fun features. If you are tired of other messaging applications, you should try. No no I don't want to use Line. If you say enough, we have prepared a section for you. Scroll down to the bottom area and delete the account and review the instructions. Delete your Line account. Finally remove the application from the mobile phone and finish the process. The link will take you to the deletion of this account and you will be asked to login. After login, the web page is opened. After reading the instructions you can delete your accounts. Please read the instructions carefully before deleting your account. Your account may not be undone after it has been deleted!